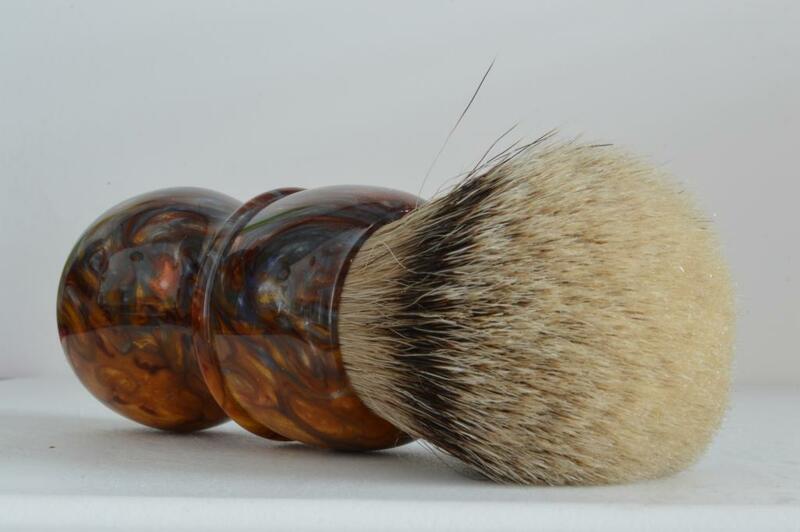 since yesterday i am a proud owner of an Scott Pavkovich Brush. Pics first, specs later. 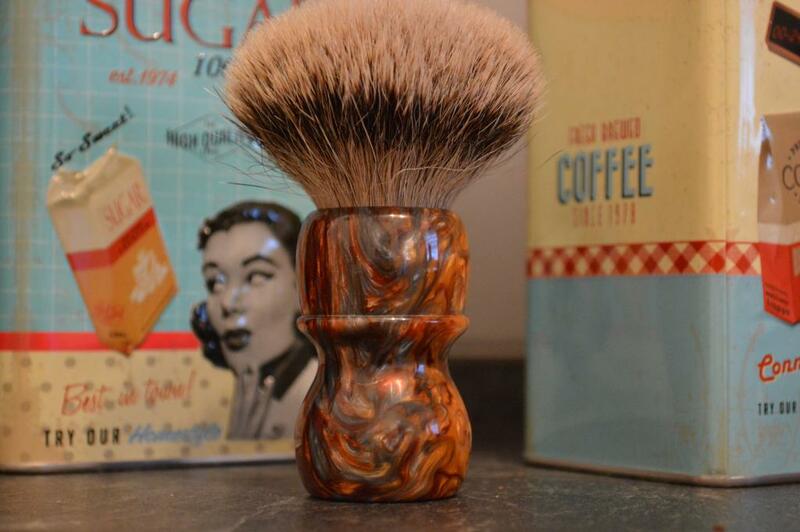 Brush: Scott Pavkovich "Chief" in "Molten Metal"
Ain´t that a beauty?! This deep structure of the colours...outstanding!!! In a very few moments it will have it´s premiere shave. Very curious on it. 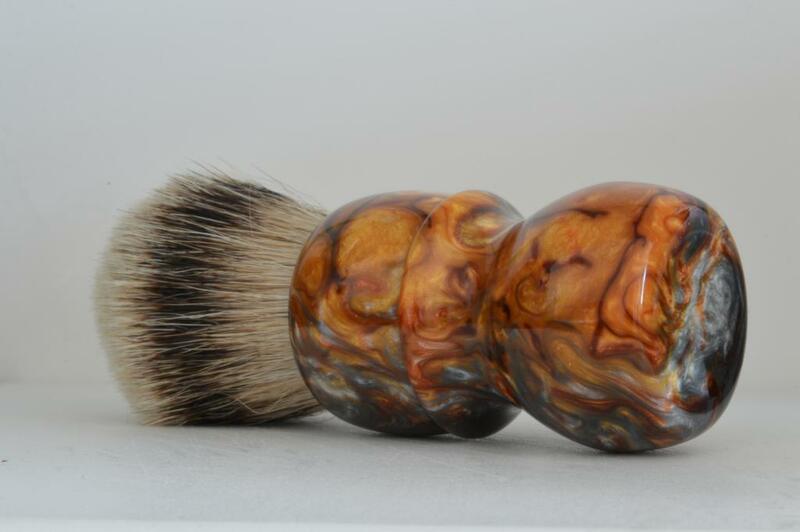 This won´t be the last brush which Scott did for me. Awesome work!!! Very pretty. what kind of wood is that? Thank you. It´s made of resin. Beautiful pattern and color. Enjoy! Beautiful handle. 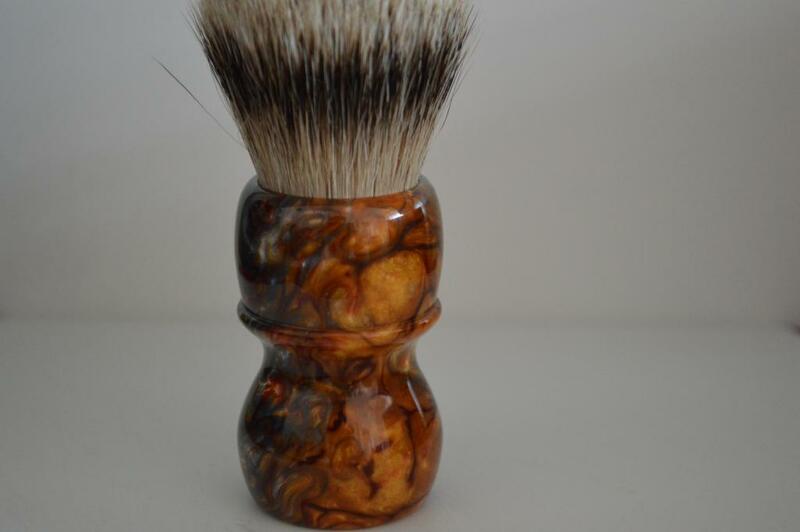 Congratulations on a fine brush. Proud you can be, very proud, congratulations. It's beautiful. Congratulations! That material is delectably complex. Such a visual treat! 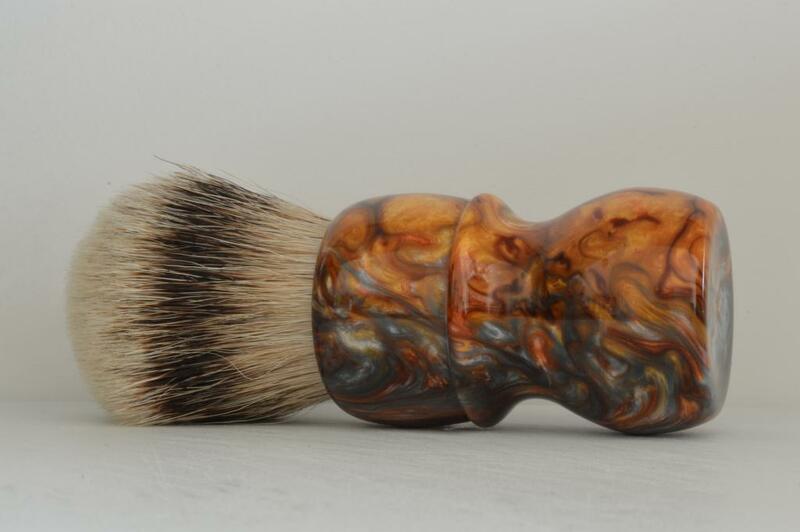 Congratulations on a very beautiful brush. Truly one of the most beautiful materials I've ever seen, like storms on Jupiter. 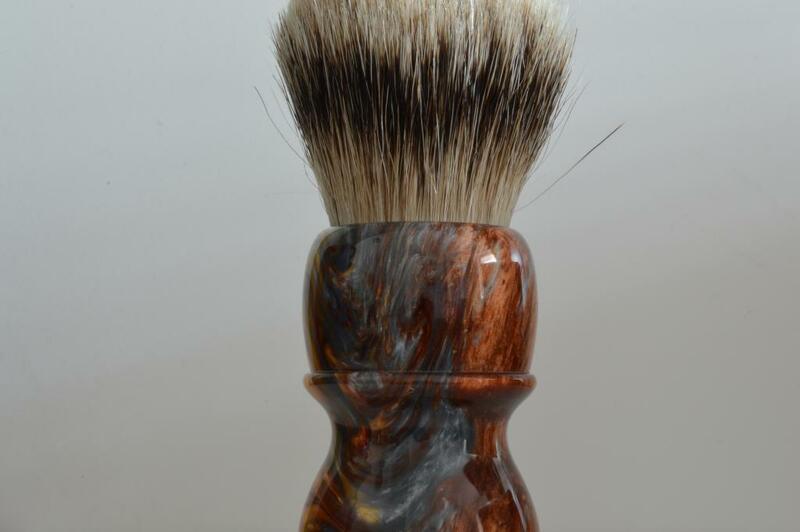 A beautiful brush. I feel foolish. Now I see it is not wood. I thought it is burll wood at first but now I see it is not. Sorry for that! Thank you for sharing this! I've got a square blank of this stuff sitting in a box at home, but seeing how good it looks all turned and polished up is making me anxious to put it to use! I have to say, that i NEVER used a better brush. The knot is stunning!!! It holds so much water...i can´t believe it. A few shakes and there is still enough water in the knot to create shiny,thick,slick,rich lather. Enough for more than 3 passes. The tips are very very soft (let me say Gel-like) and in combination with the backbone, the skin feel is absolutely outstanding. Scott, if you read this: GREAT JOB!!! FANTASTIC!!! Stunning too!!! The handle looks very nice. Seems to be very comfortable in the hands while lathering up. Congrats on this one. Beautiful.